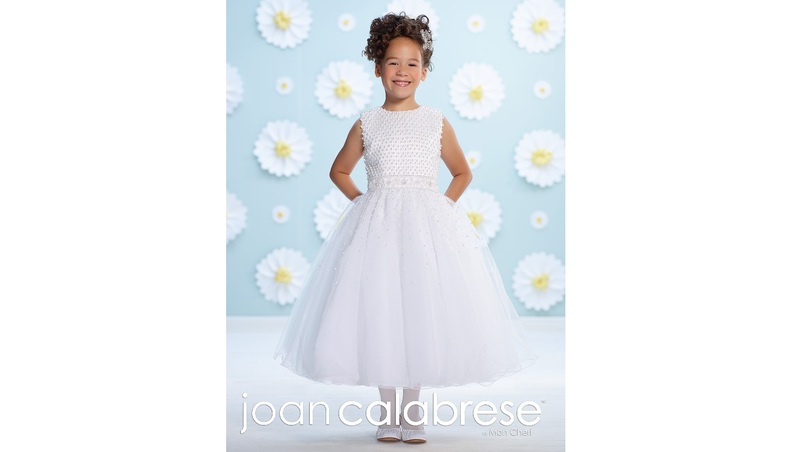 Born into a family of Italian artisans and raised in Philadelphia, Joan Calabrese showed a complete love of fashion at a very early age. 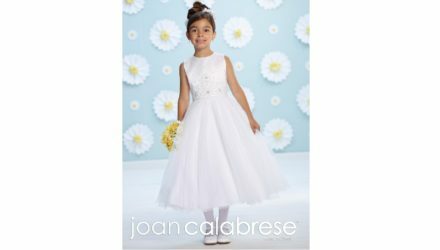 Calabrese adds, “From the day I could pick up a pencil, I was always drawing, always clothing.” As a small child, Calabrese also sewed her own dolls’ clothing, collecting fabric scraps from a family friend and dressmaker. As a high school student, she was offered a full scholarship to the prestigious Academy of Fine Arts in Philadelphia. 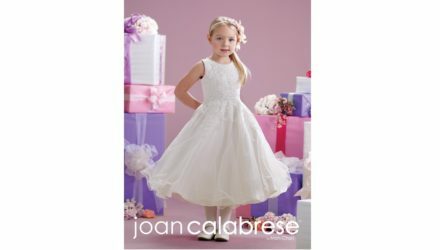 After becoming a mother of two young daughters, Calabrese decided to pursue her innate talent of creating children’s clothes. These new designs caught the eye of Tom Morotta, Vice President of Saks Fifth Avenue Couture, who introduced her work to the one of the most celebrated children’s boutiques in Philadelphia. 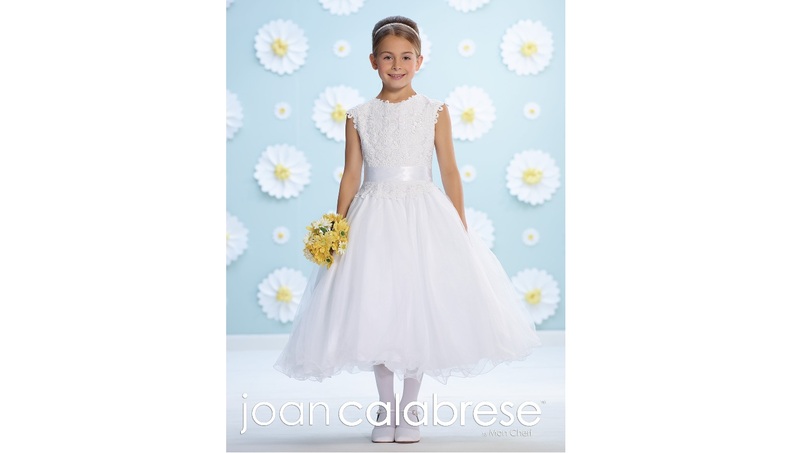 The boutique owner immediately placed an order for forty dresses that Calabrese crafted in her basement studio. 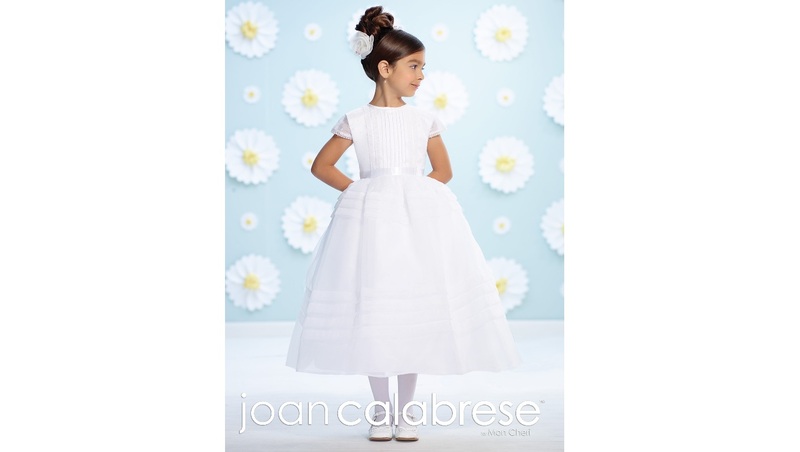 Calabrese’s second order was placed by the internationally recognized children’s store Cerutti, NYC. 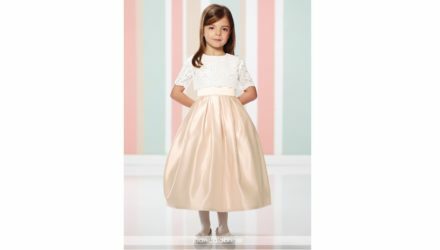 It was not long before other stores including Bergdorf Goodman and Neiman Marcus also placed large orders, thus laying the foundation of a successful business since 1975. 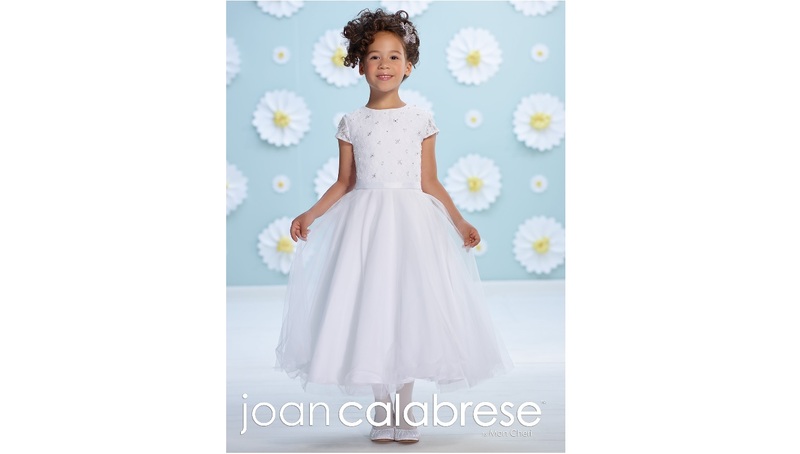 Known for her use of exquisite fabric and detail along with pristine lines, Calabrese’s work is considered the finest representation of children’s couture. 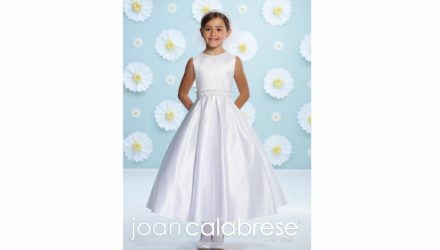 Attending fabric shows in Paris twice a year, Calabrese draws inspiration from European fashion as well as from couture fashion publications. 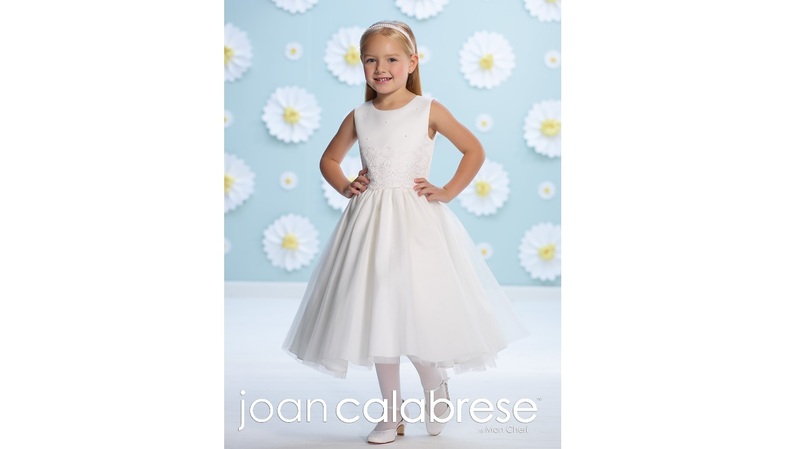 Fine fabrication has always been of the utmost importance to her. 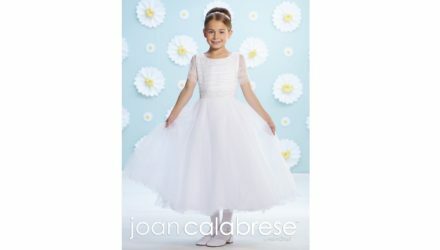 “If I love it, I’ll buy it. 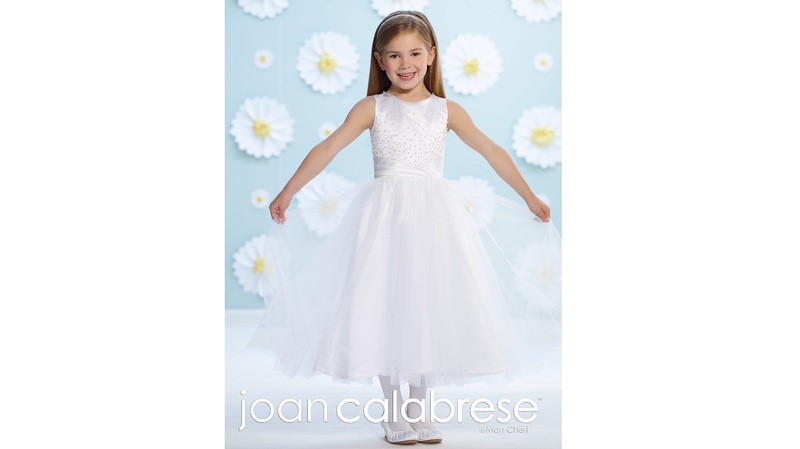 I just listen to my soul,” explains Calabrese. 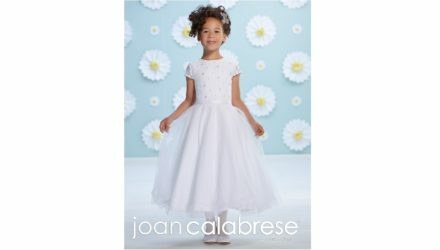 The Metropolitan Museum of Art accepted two of Calabrese’s designs for the Permanent Collection of their Costume Institute. 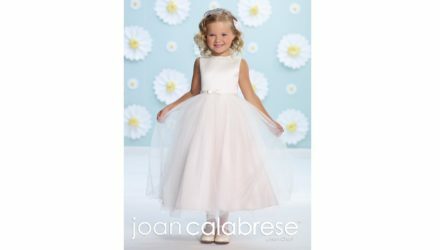 She is also installed in the Costume Collection of the Philadelphia Museum of Art and Drexel University’s Historic Costume Collection. 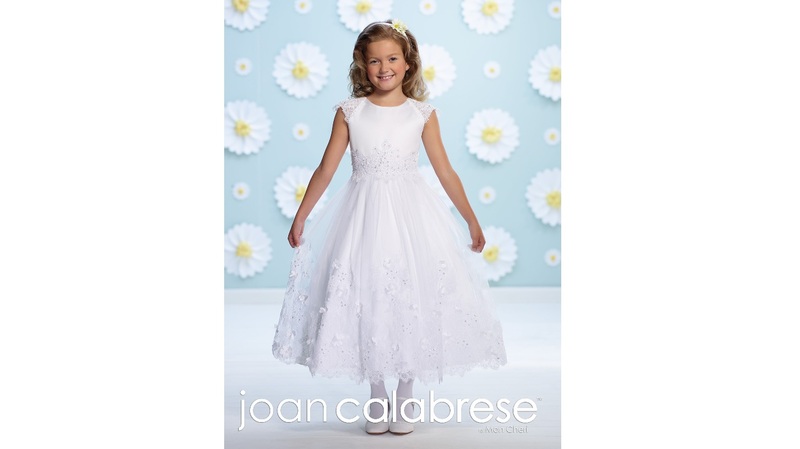 Internationally recognized, Calabrese’s dresses have been worn by young members of the British Royal Family, daughters of many Heads of State as well as numerous celebrity children. 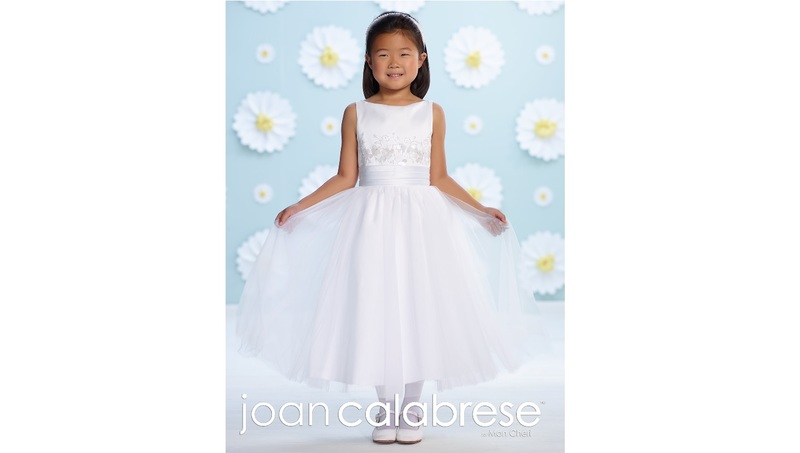 As of 2014, Calabrese has also been honored with four consecutive DEBI (Distinctive Excellence in the Bridal Industry) Awards for Excellence in Flower Girl design. 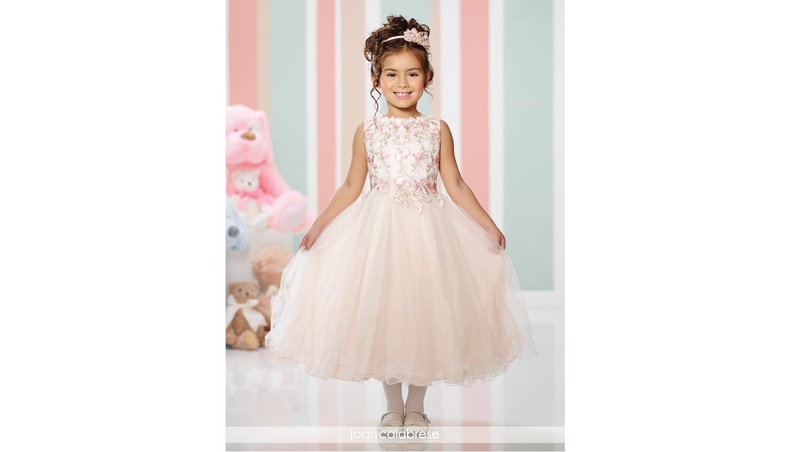 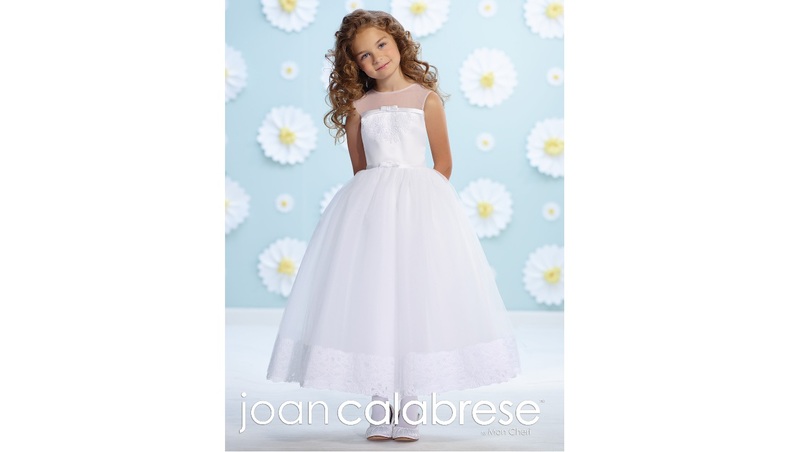 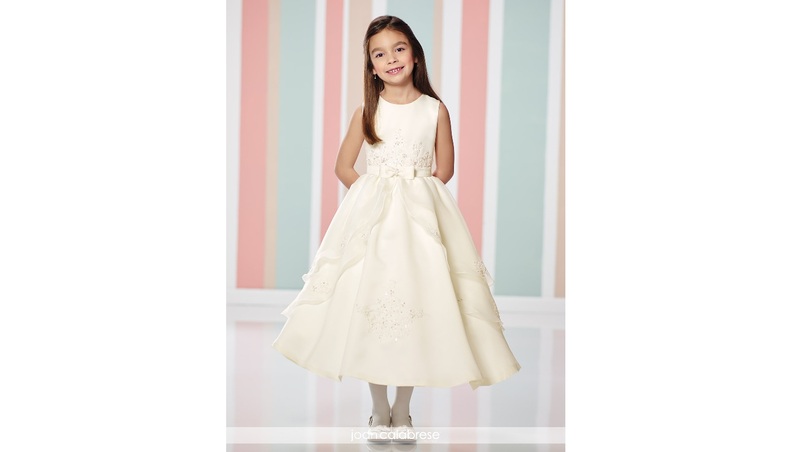 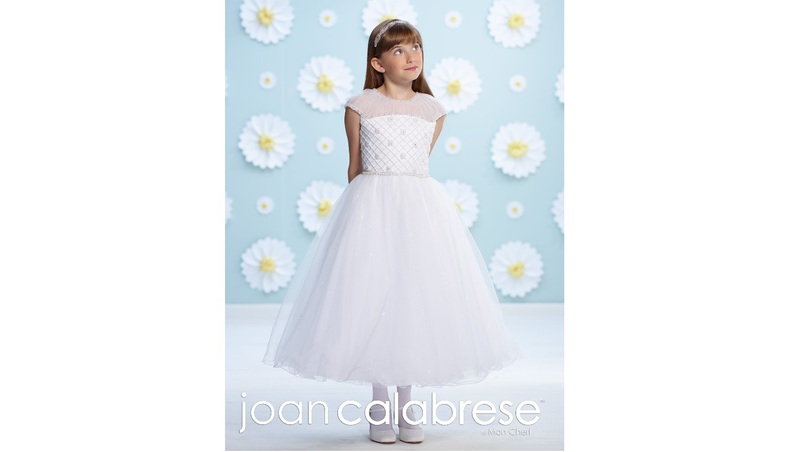 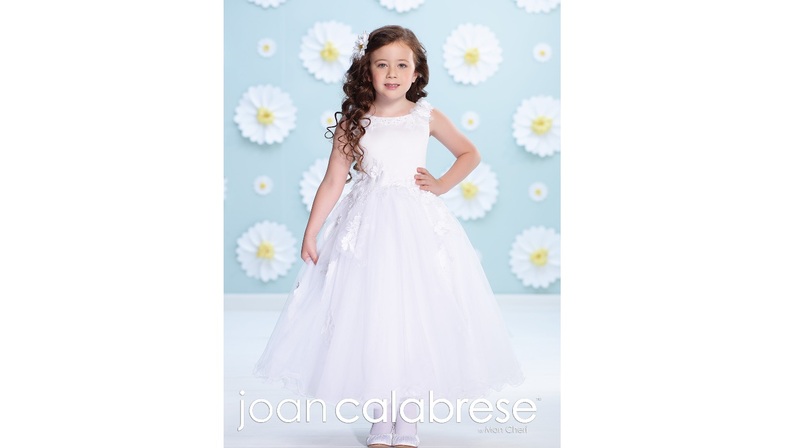 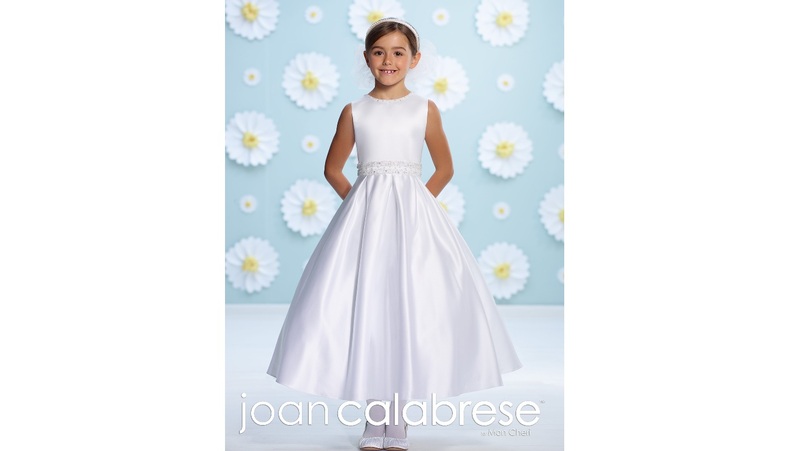 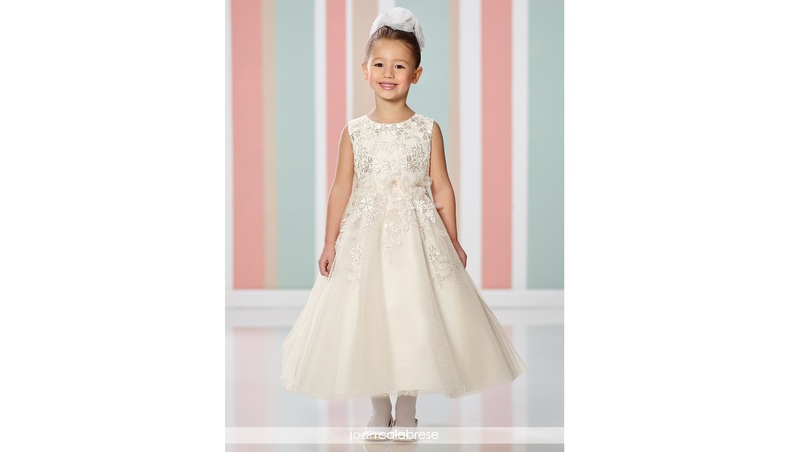 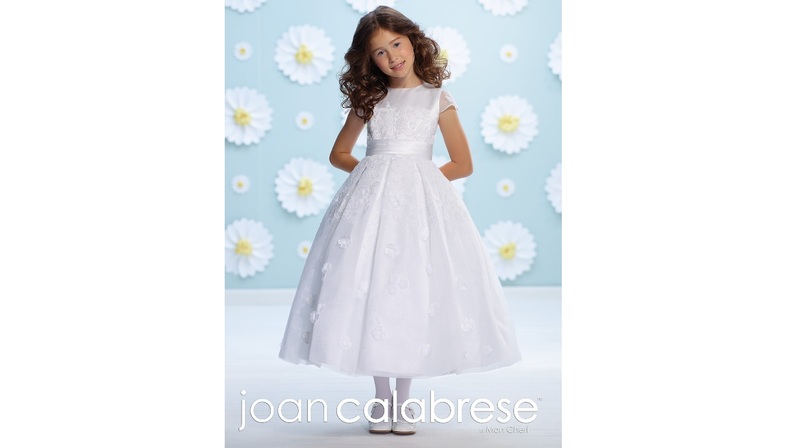 Calabrese joined Mon Cheri Bridals, LLC in 2008 to create a new children’s collection, Joan Calabrese for Mon Cheri. 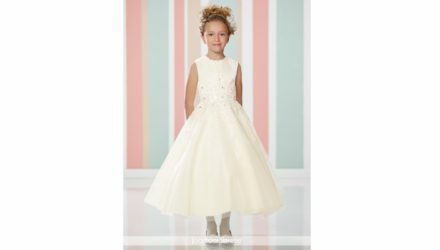 Her collection for Mon Cheri offers moderate prices while still providing the signature style and fine fabrication her design is known for. 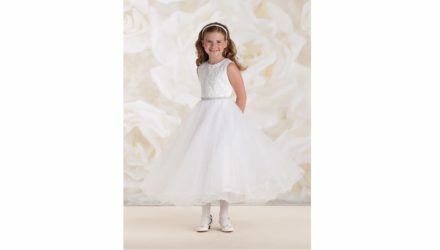 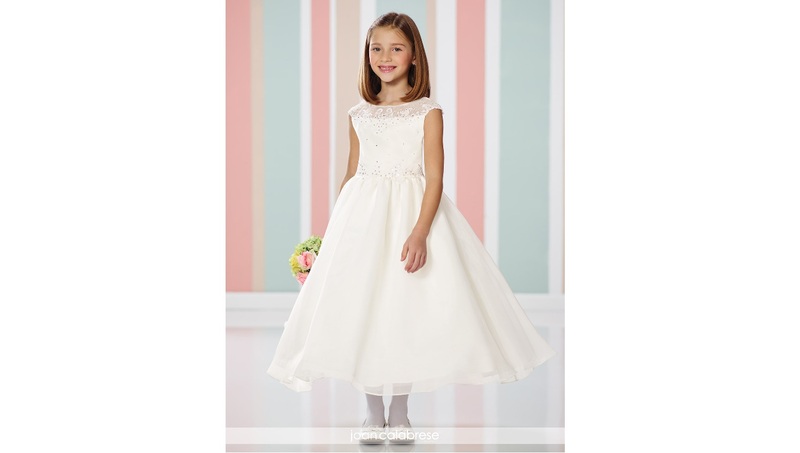 Classic and timeless with an edge, this collection includes special occasion, flower girl and First Holy Communion designs. 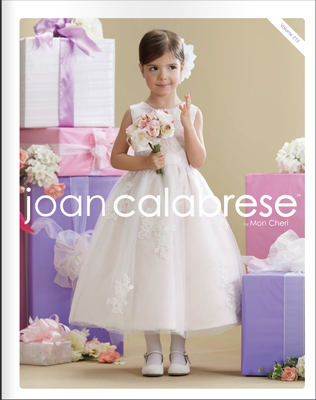 Joan Calabrese for Mon Cheri is available at both exclusive bridal salons and children’s boutiques worldwide.